Antaeus Setting Down Dante And Virgil In The Last Circle Of Hell was reproduced on Premium Heavy Stock Paper which captures all of the vivid colors and details of the original. The overall paper size is 36.00 x 54.00 inches and the image size is 36.00 x 54.00 inches. This print is ready for hanging or framing. Brand New and Rolled and ready for display or framing. 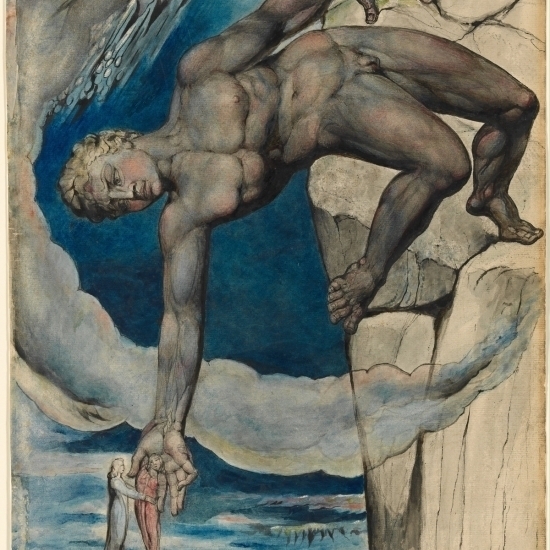 Print Title: Antaeus Setting Down Dante And Virgil In The Last Circle Of HellPaper Size: 36.00 x 54.00 inches Publisher: KJA Posters Artist: William Blake.